Get 24/7 Plumbing Services Only From OC Plumber! Plumbing needs can arise at any time without any prior notice. Let’s face it; there have been many situations where we are left with a leak, a clogged drain, or water damage in our homes at the odd hours of the night. In such situations, it is best to attend to the issue immediately to make sure that the extent of damage does not increase. Not dealing with your plumbing problems promptly might lead to a bigger plumbing issue, damage to your plumbing fixtures and a heftier servicing bill. We provide exceptionally responsive plumbing services in Orange County, around the clock and throughout the year. In other words, whenever you have any problems with your plumbing whether a leak or water damage, you can always count on us to be at your doorstep within 60 minutes! We’ve had years of experience dealing with emergency plumbing disasters and have a vast knowledgebase for plumbing solutions. This combined with our state of the art tools and advanced techniques, we can provide you with quick and quality repairs 24/7. 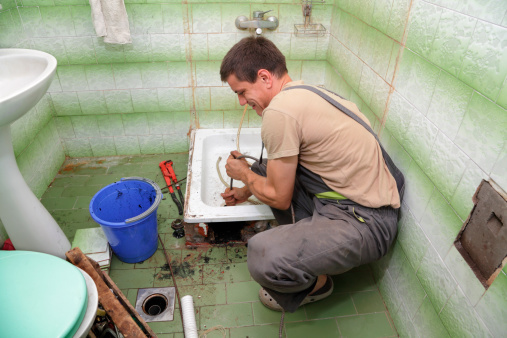 We offer all types of plumbing repairs, maintenance and installation. When it comes to comprehensive care of plumbing and draining systems in your home or office, there are not many that match our skill set. With an experienced and certified staff of plumbers, water damage restoration technicians and property appraisers, you can rest assured that you are being covered by the best. As a fulltime plumbing service, we cater to all types of properties from commercial to residential, and federal owned. From small jobs such as leak detection and repair to bigger jobs like water heater installation, we’ve got you covered. We offer same day service as well as removal and installation services. And if you ever need maintenance or an upgrade on your existing water supply and drainage systems, we can help you with that too! Our team of highly experienced and skilled plumbing technicians are at the ready to providing quick, effective and affordable repairs, maintenance and installation with the best customer service. We offer a thorough assessment of your plumbing issue so that we can tailor a custom solution that will be both cost effective and fit your needs. Depending on the extent of damage, we will provide you with initial and final documentation of the treatments we used for your own records. If your property has any plumbing and drainage issues, feel free to call us anytime. Once you contact us, our support team will dispatch a team of plumbing technicians to your home in less than 60 minutes. Once the inspection is complete, they will provide you with a reasonable quote for the job. If you accept the quote, our technicians will begin work on your home immediately. Give OC Plumber a try today! If you’re not sure about what we offer, you can always call us in for free consultation. Contact us at (949) 461-1141 Full Service 24/7 Plumbing Services today!